Off the shelf coatings are often supplied to manufacturers by larger coatings companies. These products simplify the coatings producer’s distribution and service requirements. The trouble is, your needs may call for something more tailored to your operation or your end customer’s performance expectations. If you have been using the same, standard, off the shelf coating for years, it might be time to investigate the advantages of custom coatings. Depending on the degree of specialty development required, you might just find a specialty coatings supplier can handle your specific coatings needs with an improvement in overall economic benefit. So, let’s take a look! The coating usage, application and testing recommendations are often generic, and may be insufficient for your customer’s ever-changing requirements. What are the characteristics of this base material? What is the function of the part or surface to be coated? What production steps precede the coating application? How will the coating be applied; spray, dip, flow, roll, etc. What production steps follow the coating application? Can the coating be tailored in a way to avoid major changes to the production line? What regulatory constraints should be understood? What kinds of quality assurance requirements are expected? After coating, what kind of handling, transport and storage conditions will occur? What are the performance expectations of the end user of the product? With a customized coating, you can raise process throughput and final product performance beyond standard coatings. The economic benefits are quite tangible. Reduced costs, increased output, and improved process efficiency are primary objectives of the collaborating experts. The goal of custom coatings is to fine tune the coating and application for your production operation. Your customer’s needs can change over time, in ways different than others using the standard product. Cannot be altered to match your unique process line and customer needs. 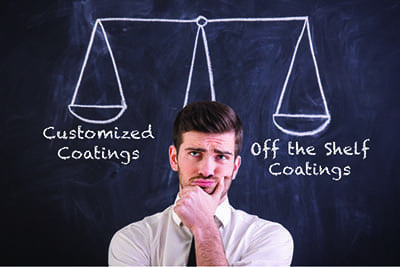 Next, read part 2 in our series of customized coatings vs. off the shelf coatings. Do you have any insight to add to the information above? Why would you consider using a custom coating vs. an off the shelf product? Please feel free to share your thoughts with us in the comments below! Steve Mezget's background includes over 20 years of experience in the coatings industry. He started my journey in this field working summers at Aexcel making traffic paint while attending the University of Akron. 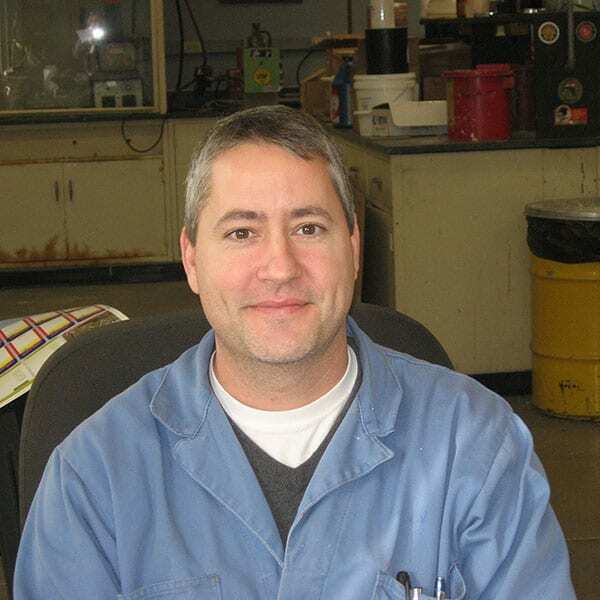 After working several years in various positions, including industrial coatings manufacturing, color matching, and quality control, he moved into Aexcel's laboratory. HIs exposure to a broad range of resin technologies has allowed him to formulate specific coatings to Aexcel's customers for their particular needs. Having worked in production has helped me in going from lab batch to scale up to full size manufacturing.